TRIBUTES have been paid to much-loved Rubery man Darron Harford who lost his battle with mental illness on January 25. Community-minded Darron had been an active memory of Rubery in Bloom for a number of years, helping create and maintain the beautiful flower arrangements around the village. He also used his love of nature and the great outdoors to inspire children through Holywell Primary’s forest school. On one occasion when vandals wrecked the forest school Darron rallied a group of people together who worked with him to put the damage right. His friends say he continually helped a lot of people in the village and community projects without feeling the need to advertise it or boast about what he was doing. His friend Nicola Suciu, who has known Darron for more than 20 years and worked alongside him for three, said: “He was a wonderful kind soul who always went out of his way to offer support, a kind word or even a shoulder to cry on when going through difficult times yourself. “He loved working to improve his local community and volunteered in lots of projects which made such a difference for local families. Darron was a hard-working successful businessman with his security services reaching many areas across the Midlands. He is survived by his wife Karen and his two children who, his friends and family say, could not have wished for a better husband, father and role model. Karen thanked everyone in the local community for their support. 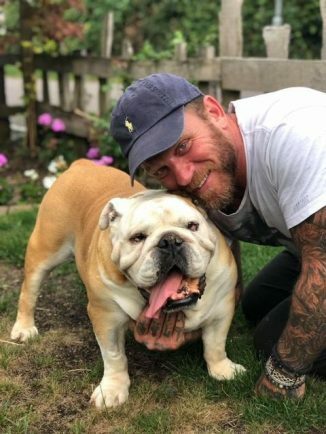 Plans have been mooted for a memorial bench for Darron in a place where he loved to go to relax and walk his dog Bruce and a fund-raising page has been set up for that, with any cash left over going to a mental health charity. Nicola added she wanted to thank Coun Simon Morrall who had helped organise the bench and its placing. Darron’s funeral will take place at Lodge Hill Crematorium at 10.30am on February 22. Family flowers only. Following the service there will be a wake at the Rubery Memorial Club (former Royal British Legion Club), New Road. Visit justgiving.com/crowdfunding/nicola-suciu to donate towards the bench.